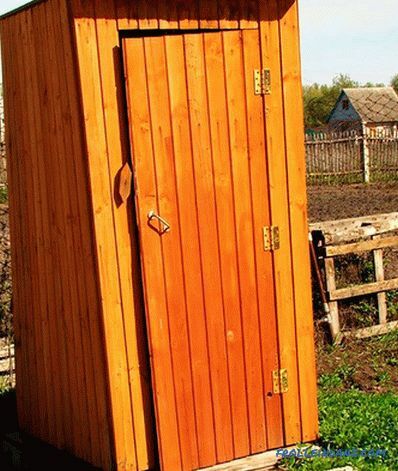 Any dacha must have a toilet. 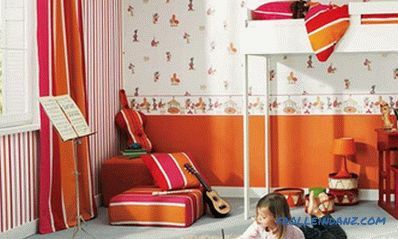 Moreover, it must be organized before the start of construction itself, because this room is the most necessary for people to stay in the country. 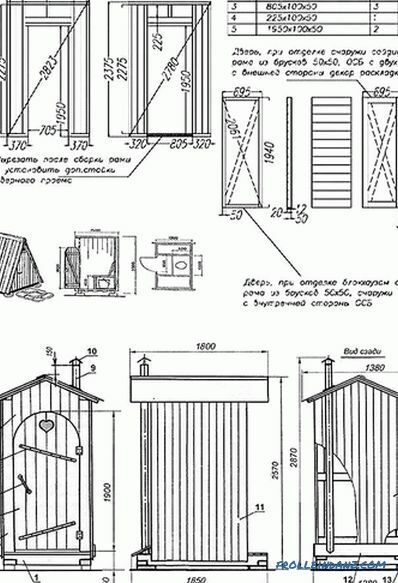 The rest of the buildings, such as a bath or gazebo, will be built later. 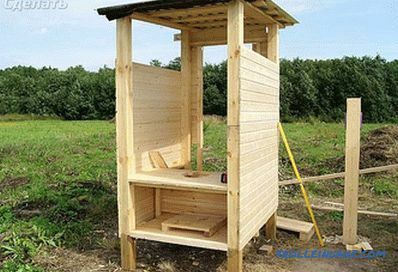 Country toilet can be done without asking for help from specialists, who will certainly take a lot of money. 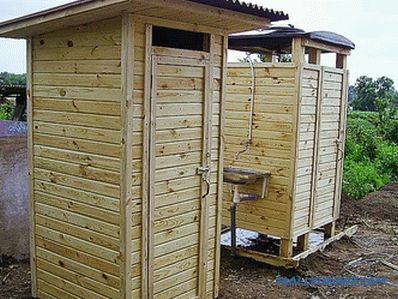 Therefore, it is first necessary, in accordance with all sanitary and hygienic requirements, to choose a place for the construction, and then choose the type of structure and methods of its construction. 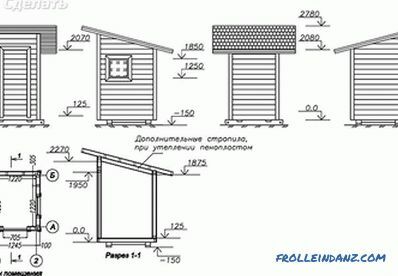 It should be noted that there are certain requirements and standards for the placement of such buildings on the street. 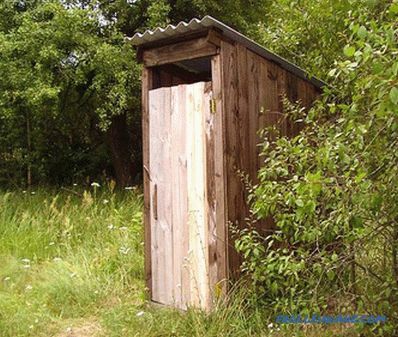 This is especially true of those toilets in which the sewage has direct contact with the ground or ground water. The distance to the nearest water body should be at least 25 meters. 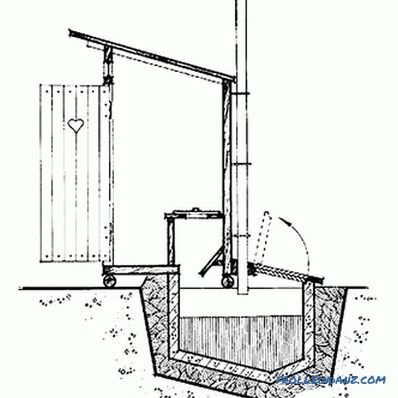 In the event that the territory is located on inclined terrain, the structure must be installed below the water source. 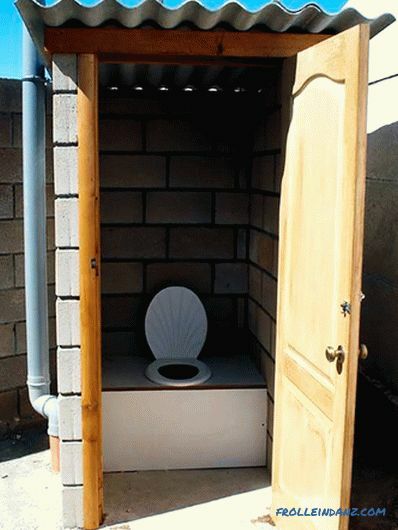 This will prevent sewage from entering the source. 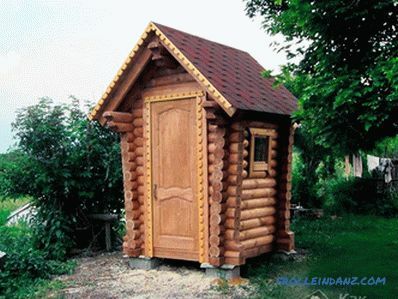 Distance from the cellar or basement of the house to the toilet - at least 12 m.
From a bath, sauna or other structure - at least 8 m.
Distance to the animals - not less than 4 meters. From the trunk of the nearest tree - 4 m, and from the bushes - 1 m.
The distance from the fence of the adjacent territory is one meter. When choosing a place, be sure to consider the wind rose, this is necessary so as not to annoy yourself and your neighbors with unpleasant odors. 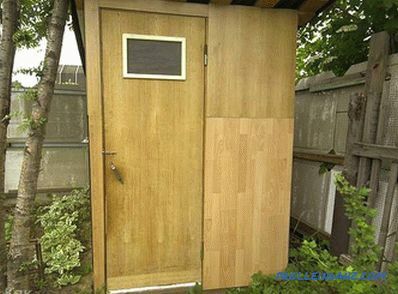 The door must be installed so that it opens towards your home. It is necessary to take into account not only the distance to your water source, but also take into account the location of the well or the well of its neighbors! 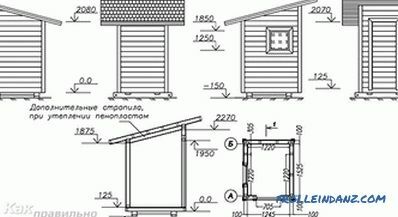 All these requirements must be considered not only in relation to its territory, but also to the neighborhood (with regards to the location of shrubs, baths, cellars and the like). But these requirements directly apply only to the toilet with a cesspool. The rest should be guided by usability. The backlash represents a sealed cesspool, which can be large in size, and its cleaning is carried out by an asynizator machine. 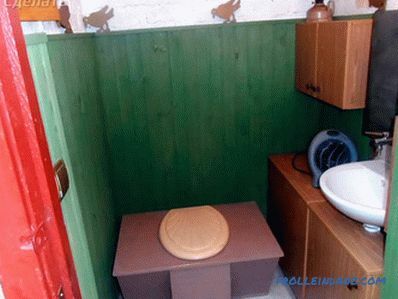 If we talk about powder-closet , then This is the type where a container is located under the toilet seat, which from time to time needs to be cleaned. Each time it is used, it is necessary to cover the dirt with a small layer of peat. A bucket of peat is placed nearby. 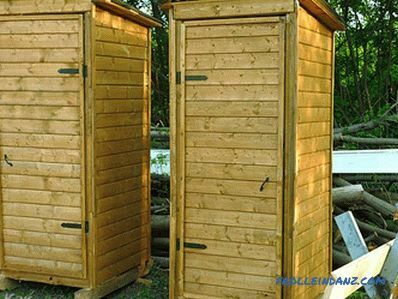 This option is the easiest for any problem, however, the process of removing feces is rather unpleasant. Well, the last alternative is a bio or chemical toilet . Here, all impurities are broken down by special bacteria. This process is completely safe for the environment. 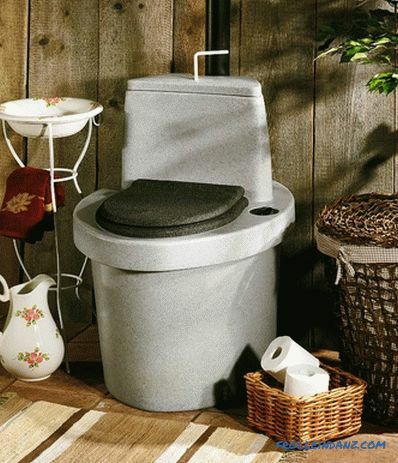 It is the toilet with the cesspool that is the most popular because easy operation. All impurities fall into a deep hole. When it is filled at 2/3, it must be cleaned. There is still a variant of its transfer, but we'll talk about it below. 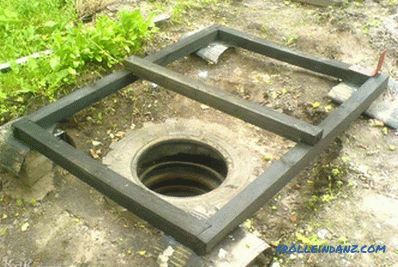 The size of the sump can be 1.5 * 1.5 meters, and the depth is up to two meters. To strengthen future walls, several optimal options are used. 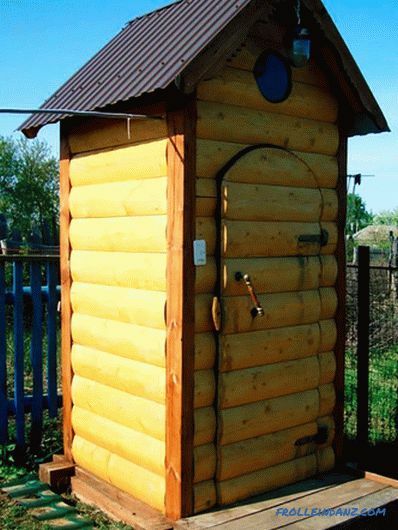 For example, you can take boards, pre-treated with an antiseptic, concrete rings, bricks, a barrel without a bottom or old tires. Care must be taken to remove sewage from the sump. If brickwork is used, the brick is laid in a checkerboard pattern, and the last six rows are stacked. If there is a backlash closet, then excellent sealing of the pit is necessary. Therefore, a screed is poured at the bottom, or it is just filled with rubble. If a brick sump is being made, then a concrete slab is poured from above. 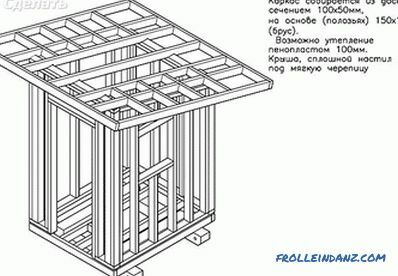 For this is made formwork of the bars and planks. After hardening the concrete frame must be dismantled. 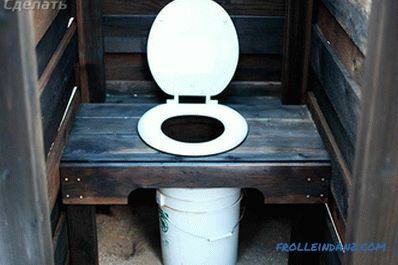 It is extremely important to leave a hole for the toilet bowl, as well as for ventilation. 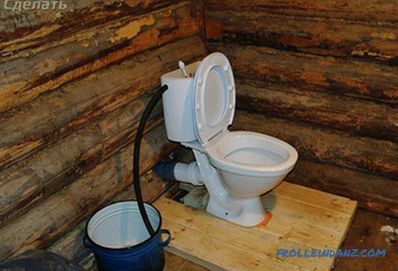 Moreover, an additional hole is needed for pumping feces. If you do not want to constantly engage in cleaning the pit, then you can fall asleep and move the house to another place. After several movements, it can be returned to its original place, and rotten waste can be used to fertilize the beds. 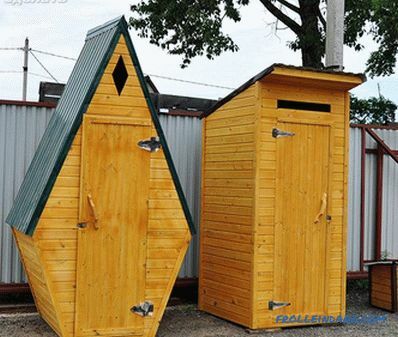 Today There are a large number of ready-made houses for the toilet. To a large extent, everything will depend on your financial situation and the amount of free time. 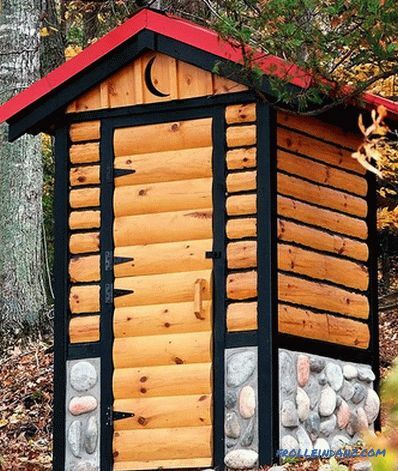 If you do decide to build the toilet yourself, then there are several ways. For example, brick. A reliable construction will be obtained, however, it is necessary to provide a good foundation for it outside the cesspool. 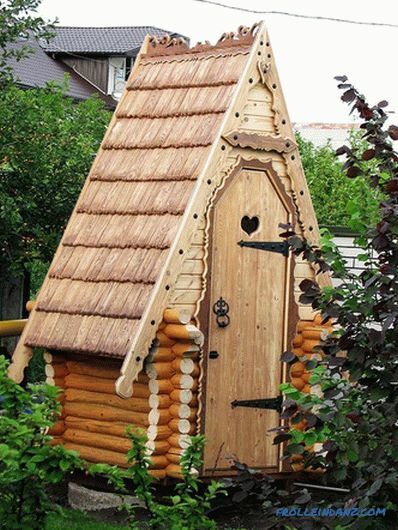 Most often in the suburban areas you can find a house made of wood. 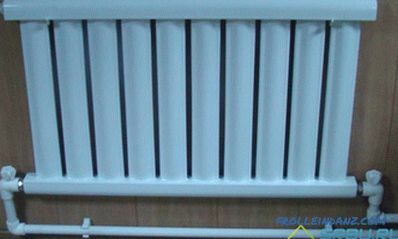 For its construction it is better to use parallel bars 50 * 60 mm. 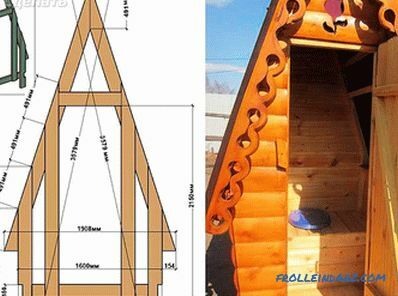 As for the support frame, its base must be sufficiently strong and reliable, because the whole structure will be located above the cesspool. 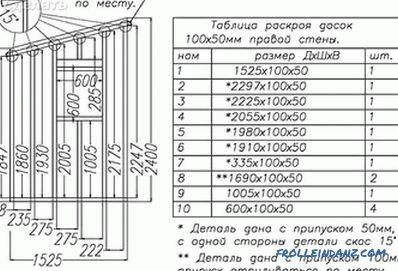 For this reason, it is better to use the bar 100 * 100 mm. 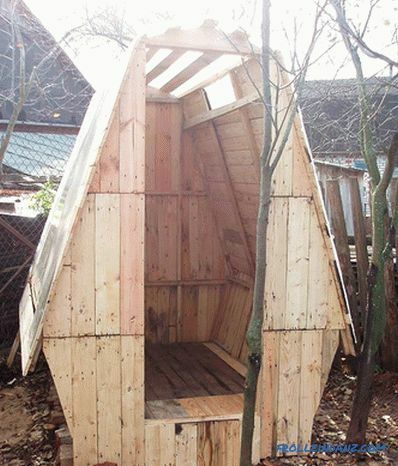 Before installation, it must be treated with antiseptic, which will increase its performance. Some people use molten bitumen in the ratio 1: 1 as an antiseptic! 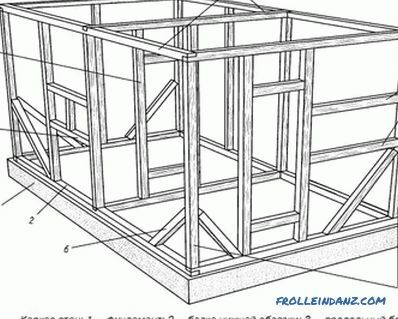 The installation of the frame can be carried out on a strip or on a columnar foundation. In some cases, when possible, it is simply placed on the ground. To make a waterproofing, a strip of roofing material is laid between the layer of the foundation and the ground. Several anchor bolts are fixed to the base of the foundation. 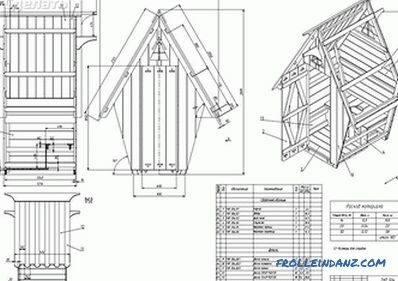 They will protect the structure from overturning the house in case of a strong gusty wind. 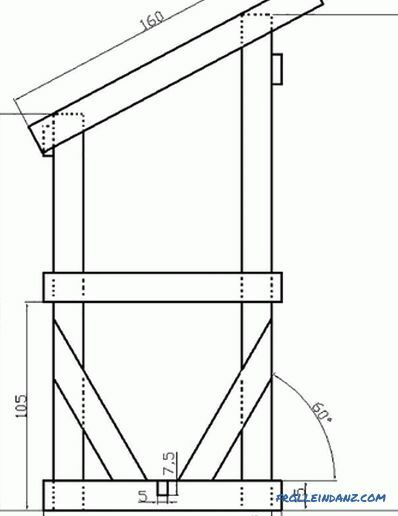 When the frame is set on the ground, the vertical frame struts are buried in the ground by 30 see. On top of the finished frame tightly laid board, the thickness of which can be 40 mm. 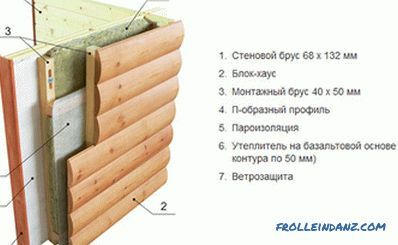 For wall cladding used a variety of materials, such as lining or OSB stove. If the trim is made from the inside, the walls can be insulated with mineral wool or foam. 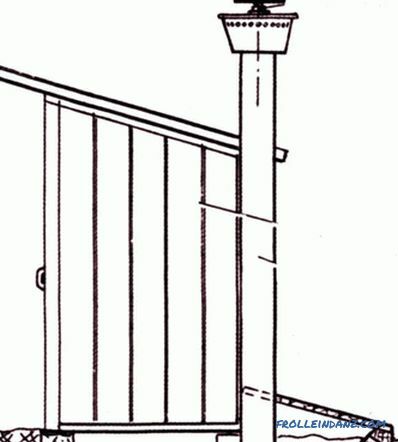 In the frame itself, crossbars should be provided at a height of approximately 500 mm. They are necessary for fastening the plane of the toilet seat. 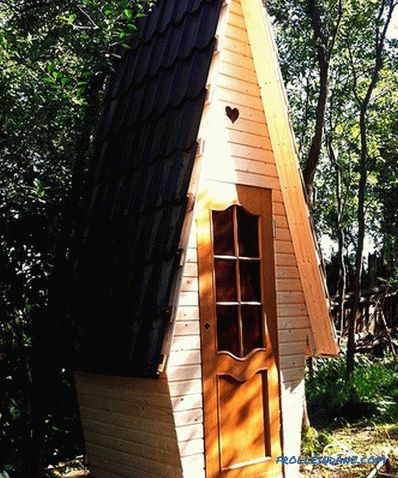 Different materials can be used as roofs, for example slate or tiles. 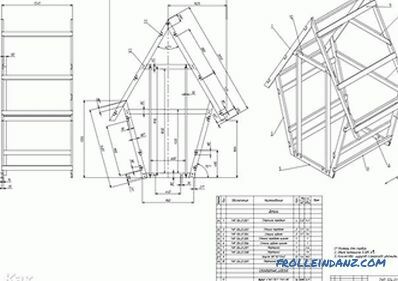 Its slope will be formed based on the height of the front and rear of the rack. Ventilation is needed to eliminate unpleasant smells from the sump. 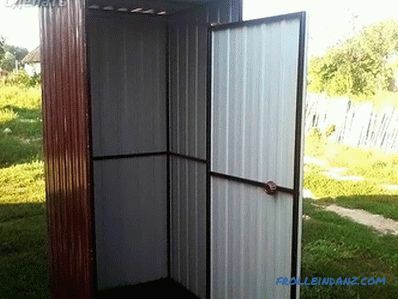 For this reason, a hole should be provided in the construction of the toilet. 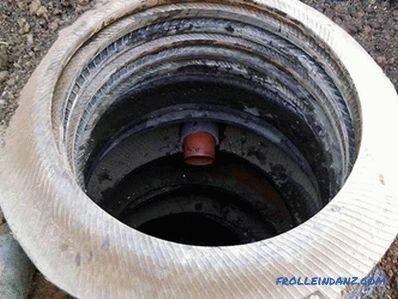 To do this, use the sewer plastic pipe Ø100 mm. 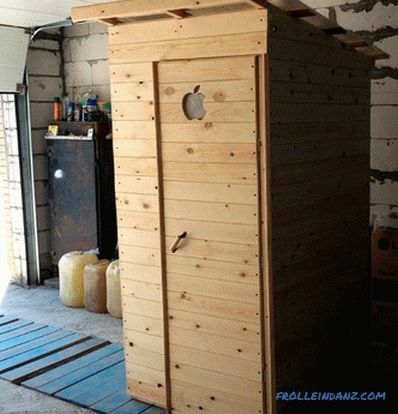 It can be fixed with a metal clamp to the back wall of the toilet. The pipe itself must be at least 15-20 cm in the cesspool. The height of the pipe will be 20 cm above the roof plane. 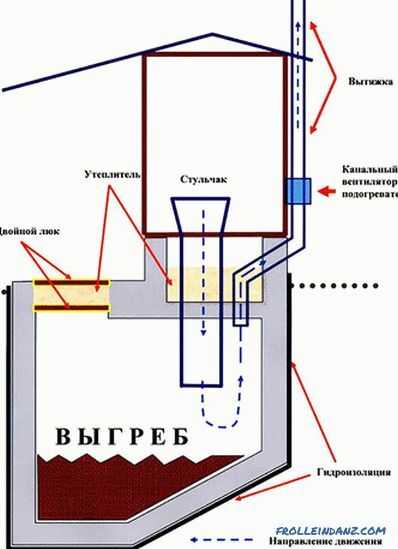 To improve the draft, a nozzle-deflector is installed at the end of the pipe. Whether to make lighting in this room or not - your own business. 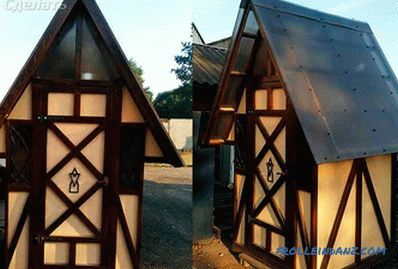 In order to save light in the daytime, a small window can be made in the door. So, the whole day in the toilet will be natural lighting. Some decide to install a small window on one of the walls, under the roof. At the same time it can be glazed, or just fix the grid. 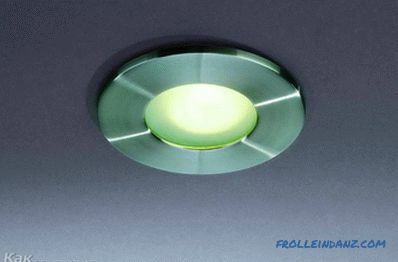 There is also the option of connecting wall lights or LED lights. They are connected to the battery. This must be taken care of before finishing work.